Able Distributors is a Heating Cooling and Venting Supplier serving the professional contractor community of the chicagoland area. We provide the lastest in forced air, IAQ, hydronic heat and radiant systems. Andrew Bleier, owner and founder of Able Distributors, began his career working on Merchant Marines based out of Haifa Israel, earning a degree as a Chief Engineer. 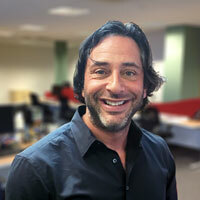 After ten years as a Chief Engineer Andrew immigrated to the US eventually settling down in Chicago. Andrew was looking for work in the HVAC industry when he ran across Meier Axelrod, owner of Cooling Equipment Services. Meier was having problems with a stubborn compressor on one of his best customers rooftops and couldn't find anyone who could successfully diagnose the problem. Meier was interviewing Andrew for a position with his company and out of sheer frustration told him that if he could diagnose and fix this pesky rooftop he had the job. After 15 years as a contractor/small business owner Andrew wanted to move into the wholesale side of the industry. As luck would have it, Able Distributors, a 1000 sq. ft. warehouse off of Fullerton Ave. was for sale. Andrew purchased Able with a single idea in mind- "To be the supplier that works with you". Being a contractor for so many years gave Andrew the conviction that as wholesalers, he would put the needs of the contractors first. Andrew loved the business, and above all Andrew loved to teach (as long as the other person was willing to learn). There are countless stories of how contractors would show up in the middle of the day, complaining about how they couldn't get a boiler to fire, or figure out why a control valve wouldn't open. Andrew, without hesitation, would close up shop and head over to the job to help figure out the problem. Andrew's core value as a business owner was to treat each and every contractor with the respect they deserve, to take care of them and make their jobs easier. Through products, education, and service, you will always have a business in Chicago and a place in this world. Dani Bleier, Andrew's eldest son, had recently graduated from Depaul University with a degree in accounting and was working for Arthur Anderson (one of the big 8 accounting firms) for about 18 months when Andrew approached Dani with an offer. Come help out on the accounting side and help us look into these new things called computers. Dani came on board with absolutely no knowledge of the HVAC business, but he was a quick study and someone who loved to make a deal. 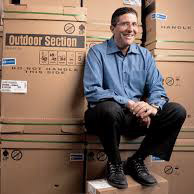 He naturally gravitated to the buying side of the business and would eventually go on to found BlueHawk Co-operative, the largest independent HVAC cooperative in the country with over 225 members and 5 billion dollars of purchases nationwide. 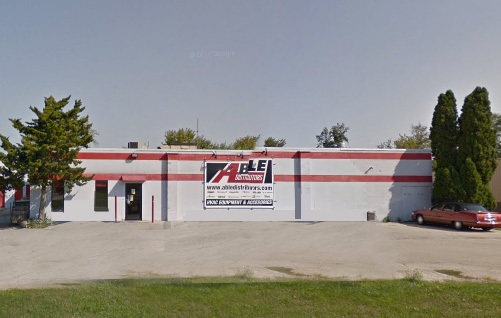 In 1987, Able Distributors opened a location on Green Bay Road in Evanston, Il. We eventually expanded into a larger warehouse and storefront property on Main st. in 1994. The business was still growing when Andrew and Dani were presented with "an offer they couldn't refuse". 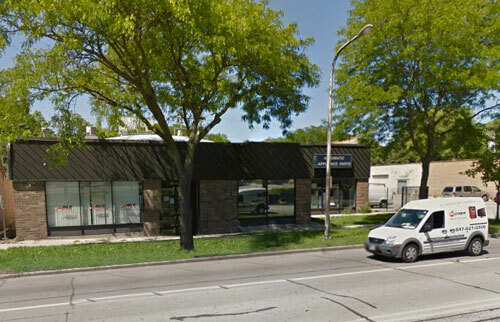 Moran Supply, one of the pillars of HVAC distribution in Chicago, was for sale along with the 30,000 sq/ft building it occupied a few miles west of the current location. The building, located at 2501 N. Central was a beauty, built specifically for HVAC wholesaling with built in cranes, loading docks, a wood bow trussed roof and more space than either of them could have ever imagined. They ended up purchasing the building and it remains the main headquarters for operations for the company up until today. Michael Bleier (Andy's younger son) was working oversees and happened to be home renewing his work permit when Andy approached him to try out the business for 6 months to see how he liked it. Well, that 6 month stint is going on 23 years, and yes, Michael liked it. Working in every area of the business from driving a truck and working the counter to purchasing he was exposed to every facet of the business. Eventually Michael grew to love Hydronic Heat with a special emphasis on Radiant Systems (an area that was rapidly expanding at that time). Becoming a founding member of the RPA (radiant panel association) along with Bob "Hot Rod" Rohr and Mike Chiles, Michael became one of a handful of go-to wholesalers in the country for full radiant design and sales. Around that same time, there was a major flood in the McHenry area- about 50 miles north-west of Chicago. One of our salesmen, David Bidne, thought it would be a good opportunity for Able to open up a little "pop-up" shop and sell sump pumps and other flood related items for a month or two. We acquired a building and stuck around for another 20+ years. 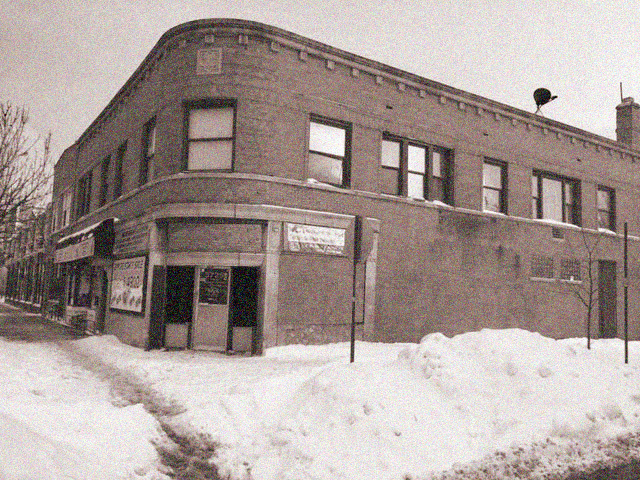 In 1994 Able Distributors made the decision to expand from their current location in Evanston to a larger property on Main Street. Able had already built a reputation on service and understanding Hot Water and Steam Heat so a move to this area of was a natural fit. A rough year for Able. 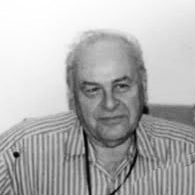 Andrew Yeshayahu (Bandi) Bleier passed away after a short bout with lung cancer. His legacy lives on through his two sons and their six children but his is immeasurable and his influence impact is felt to this day- Always act with the highest integrity, always serve our customers by maintaining a smart, ethical business and always do the right thing. Around this time, the go-go 2000's were in full swing. Building construction was moving at a furious clip, contractors were purchasing immense amounts of product, and we were struggling to keep up with our customers needs. At the same time, a major supplier in the Chicagoland market, Builders Plumbing Supply, ran into hard times and through an unfortunate set of circumstances, ended up filing for bankruptcy. Well, Builders didn't have luck in business but they did have some great people working for them; Howard Elovitz, Bob Tyranski, and Ray Bresnahan- all of which came to be valuable members of the Able family. Able also inherited the premier line of forced air equipment in the industry, Maytag. Inventory, the lifeblood of any wholesaler, was something we knew was important to understand and control, but boy, was it ever hard to maintain! 2006 was the year that Able became fixated with the idea of controlling our inventory. Our slogan than, as it is now, is "Inventory Control is Customer Service" means we practice rigorous control around cycle counts, double checking orders, reading back orders, balancing inventory, and many other "best practices" to ensure we are always delivering the products we say we are going to deliver, when we say we are going to deliver them. Able had been toying with the idea of creating a company that focused on our numbers. We had been reading books (The Great Game of Business by Jack Stack) and attending Seminars (Zingerman's Fun, Flavorful Finance) but we just couldn't seem to get our ducks in a row. Well, after the great financial meltdown of 2008, it became apparent that if we didn't take ownership of our numbers, we weren't going to be around very long. The Vision then, as it is now, was to create a company of "psychic ownership" where every employee, at every level, understands how he or she contributes to our bottom line. Starting in 2009, we have put together a yearly financial plan; we have daily sales numbers, weekly reports, monthly meetings, quarterly assessments around almost every critical metric in our company. This includes profitability, warranties, open orders, and expenses. At Able, we have become a company of business owners that understand that critical decisions happen every day at every level. 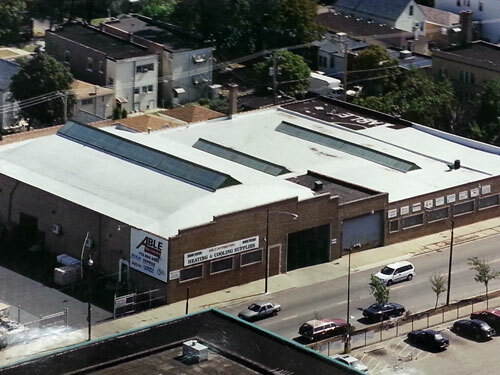 Able always understood that in order to claim the title as THE Chicago wholesaler we would have to open a location on the South Side of the city. 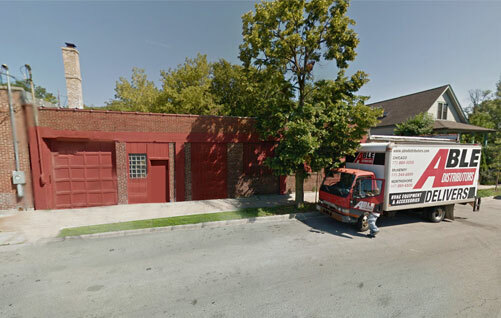 Located at 2845 W. 48th Place our newest location has 10,000 sq/ft of space with 20 ft high ceilings, a place for contractor training, two docks for loading and unloading material and is situated in the heart of the south side of our city. Since opening in late 2013, we have received nothing but positive growth and feedback from contractors regarding our focus on customer service and superior knowledge.